1 night 2 days in Osaka & Kyoto; Kyoto Edition | Japanize! Welcome to Japan. I was born and raised in China, then educated and lived in the U.S.A for 7 years. Currently, I am a customer service manager at the Harajuku Tourist Information Center. I am a huge fan of travel, games, animes, gourmet, and cultural engagement. It is my pleasure to share my travel and living experience in Japan. Today, I will be talking about my Osaka & Kyoto trip that I recently went on with my friends. Because we planned the trip right before the departure date, there were no more shinkansen tickets departing from Tokyo. Instead we went with a package from H.I.S. that included round trip flights and one night at a hotel for 28,000 JPY. If we had taken the shinkansen, it would have cost around that much for a round trip. Also, the shinkansen would have taken two and a half hours from Tokyo to Osaka but we were able to go from Haneda Airport in just one hour. Going with this package saved us both time and money! Our first destination was the famous Fushimi Inari Shrine which you can access by getting off at Inari Station on the JR Nara line. At this shrine there are many fox statues in various forms guarding the shrine. The solemn and majestic atmosphere of the shrine also had a mystique to it that is hard to describe. The weather wasn’t very good the day we went but the cloudiness added to the impressive atmosphere. There are many souvenirs you can buy around the shrine. 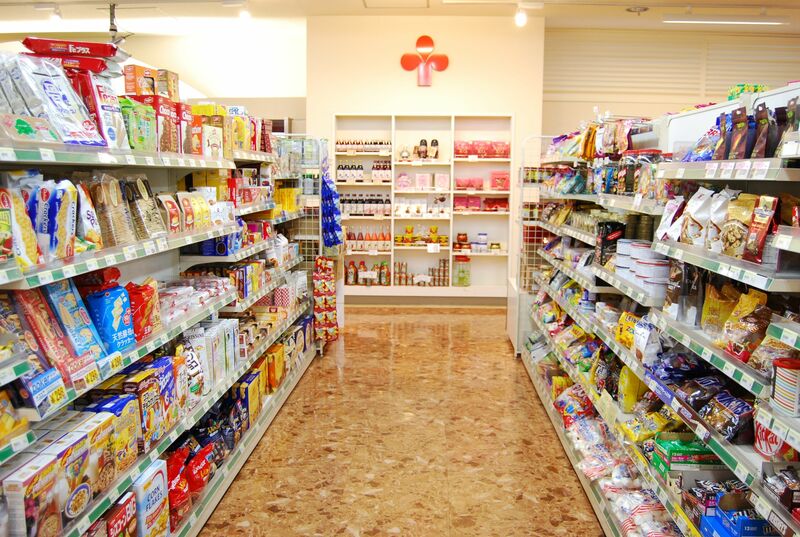 From delicious foods to cute dolls, there are many different kinds of souvenirs to choose from. Pick some up for your friends and family and they will surely be very happy :D There were many manekineko (“beckoning cat”). It is said that Fushimi Inari Shrine is where the beckoning cat was created. After the shrine, we went to Gion. Because there are many Geisha in Gion, it is a popular spot for both foreign and Japanese tourists. This is the famous Kamo River of Kyoto. Kamo means duck in Japanese and on that day there were indeed many ducks swimming along. It was very cute. By the way, this is a popular date spot among university students in Kyoto. The place we stopped for lunch was a soba and udon restaurant called Matsuba.This restaurant is over 150 years old and is very famous in Kyoto. I ordered the green onion duck soba shown here. The refreshing taste of the noodles combined with the rich aroma of the duck broth made for a very delicious dish. My friend regretted ordering the normal soba after trying some of mine lol. Next, we went to Hanamikoji, another famous area of Kyoto. You can really feel the charms of this ancient city. There are many restaurants lining the street and sometimes you can even spot an apprentice geisha and real geishas. This time, I was not able to see any geisha but I did see a lot of young people wearing kimono. Although the practice of wearing traditional clothing has decreased all over the world, lately I have been seeing more girls wearing kimono on the streets in Japan. I also saw many tourists from overseas wearing beautiful kimono so I was a little surprised. Lately, places where you can affordably rent kimono have increased in Kyoto. My friends and I also tried wearing the beautiful kimono. There is a wide variety of kimono for girls from simple designs with flowers to luxurious ones made from silk. The kimono we rented cost 4,000 JPY and we added the hair and hair ornaments set for another 1,000 JPY. Because there are so many kimono rental shops, there are so many different designs to choose from. From cute styles to more mature beautiful styles, shop around to see which you like the best. The kimono we chose were a cute style and they even tied the obi belt in a very cute way. Although there is not as wide a range of kimono for men, you are able to choose the colors yourself. I thought that the only colors available for men would be black or grey but there were actually more vibrant colors like blue, red, green and gold. Please try choosing the colors you like! Wearing the kimono, we walked to one of the most famous places in Kyoto, Kiyomizu Temple. Although Hanamikoji (the place where we rented the kimono) is not that far from Kiyomizu Temple, because we were wearing kimono and taking lots of pictures along the way, it took us around 40 minutes. I feel like most Japanese temples are small and delicate but Kiyomizu had a grand and majestic atmosphere. We got someone walking by to take a picture of all of us in front of the temple. Don’t we all look so beautiful? hehe. This was my first time wearing a kimono and I highly recommend it to those who have never worn one before! There are mountains in the back of the temple so I recommend taking pictures with them in the background. If you like taking pictures, you will be able to have a nice photoshoot on the temple grounds. After the temple, we had a little rest at a restaurant. Every single thing on the menu had matcha green tea in it in some way or another! Because it was a little cold, I had the matcha soba. Can you feel the delicious flavor from the picture? Our plans for the next day included going to Universal Studios so we returned the kimono and headed to Osaka. Osaka is pretty close to Kyoto and it took us only 50 minutes on the train. We headed for the central part of Osaka, Shinsaibashi. When talking about Osaka, all Japanese people know this famous sign of the Glico man. Everyone who comes here has to take a picture in front of the sign, striking the same pose. Did you know that the sign was changed in 2014 from neon lights to LED? Osaka has a ton of tasty food to try such as takoyaki (fried balls of batter with octopus inside). Although you can get takoyaki all over Japan, Osaka is its birthplace. While the takoyaki in Tokyo has a crispy exterior, Osaka takoyaki is characterized by its soft texture. Here is a statue of an octopus holding a takoyaki. So that’s it for today. Next time I will be talking about Osaka’s Universal Studios. See you then!